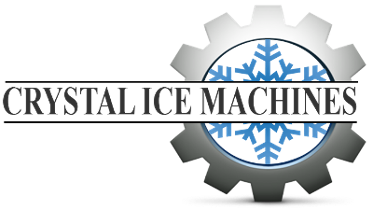 At Crystal Ice Machines, we do one thing: ice machines. Based in Clearwater, Florida, we've been the Tampa Bay area's favorite ice machine experts since 1992. We're the company that understands the unique conditions that ice machines face in the hot and humid Florida climate. Our customers appreciate the fact that we do not subcontract out our services. This means that you'll see the same team of dedicated and knowledgeable technicians with every service call. Whether you need to rent an ice machine, repair one of your own, or you just have a question, give Karen, the Ice Lady, a call. She, and all of us here at Crystal Ice Machines, are standing by to help and wish you all an "Ice Day!" Crystal Ice Machines, based in Clearwater, Florida, was founded in 1992 by the father and son team of Charles and Edward Mealy. They both brought with them years of experience and education in the ice maker service field and worked hard to build a family business they could be proud of. After Charles' death in 2012, Edward's sister Karen joined the team as office manager. All of us at Crystal Ice Machines are dedicated to honoring Charles' legacy by continuing to build the business that was his dream.